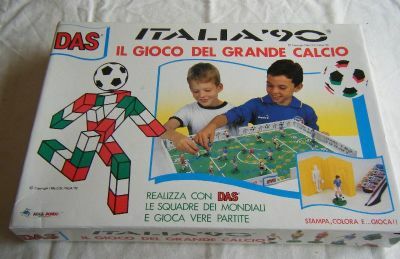 DAS are famous clay and sculpture suppliers and they created a game based on making your own clay playing figures to tie in with Italia 90. 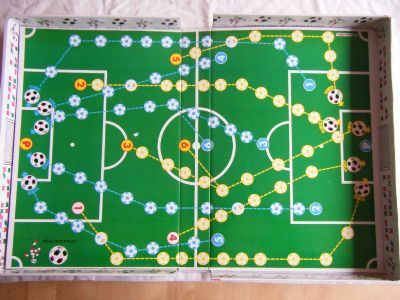 The game looks so fab on the lid - great pitch, well painted players and lots of fun. 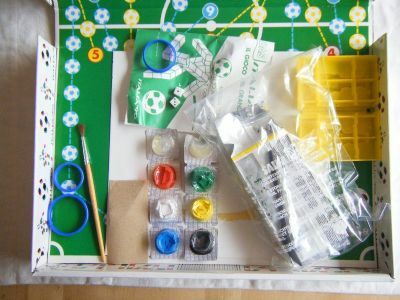 A real DIY job comprising of a block of clay, one mould, some paints and a brush plus a great playing pitch. Great pitch well made. Easy to use with other figures if you can't be bothered to make your own.